This article in FM Global News shows that every dollar spent on hurricane protection can prevent US$105 in business property loss and disruption. Scientists and engineers have teamed up across the Atlantic to “redraw” the flood map of the US. Find out in this article by Kathleen Saylors in the BC Local News online. What is a tiger dam? Five and a half years after Hurricane Sandy ravaged Lower Manhattan the city is still trying to raise funds to implement its storm-protection project know as Manhattan Tip. The project would wrap the waterfront with some physical deterrent to fight against storm surges. Read more about this ongoing problem and the part Tiger Dams™ and US Flood Control are playing to remedy it in this article by Bill Egbert https://bit.ly/2scZSRT online at www.downtownexpress.com. As the Fraser River rises in British Columbia campgrounds close and evacuations continue. Canadian military is enroute to aid with evacuations as BC awaits another rise in water levels while uncommon heat waves hit the province. 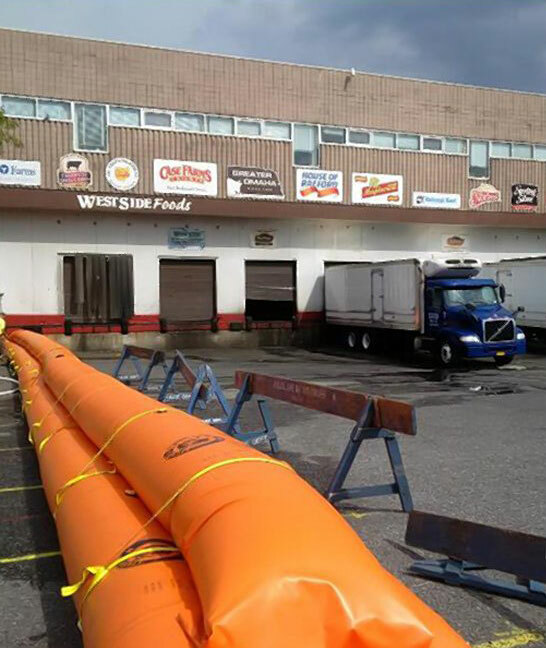 US Flood Control and Tiger Dams™ is now on hand to secure parts of the province from flooding. From Chilliwack to Penticton Tiger Dams™ have helped British Columbia residents and cities hold back rising lake and river water and protected millions in personal and government properties. Want to know how Tiger Dams™ work? 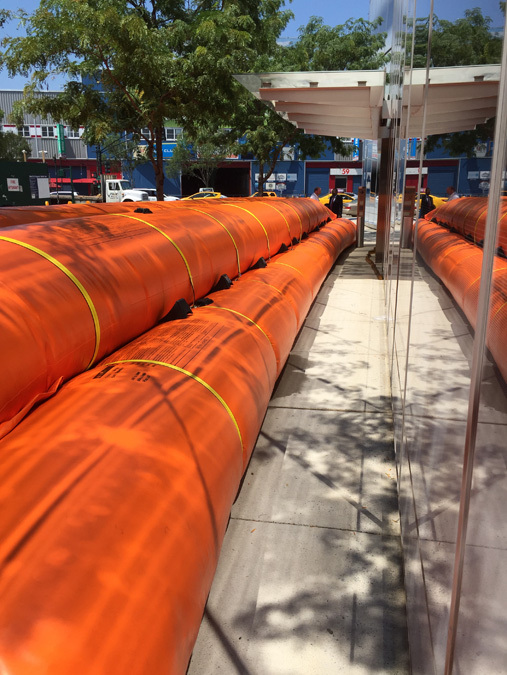 Check out this infstructional video by employees of the Cedar Rapids Public Works Department demonstrating the city’s newest flood control option — “Tiger Dams™,” orange rubber bladders that can be filled with water to provide a barrier against floodwaters. This GazetteOnline video by Liz Martin shows the ease and speed with which the dams can be deployed. For more info on Tiger Dams™ and how they can benefit your town or city contact us for more information. Temporary dam system a ‘pretty straightforward operation, says Penticton city official. With the level in Okanagan Lake expected to continue rising this week, completion of a temporary dam system along the Penticton waterfront’s most vulnerable points could not have come sooner. After last years epic flooding in Kelowna and Penticton, Kelowna prepares for this years expected rise in water levels in the area due to the melting snow pack and rain fall. BC Wildfire services set up Tiger Dams™ in preparation.